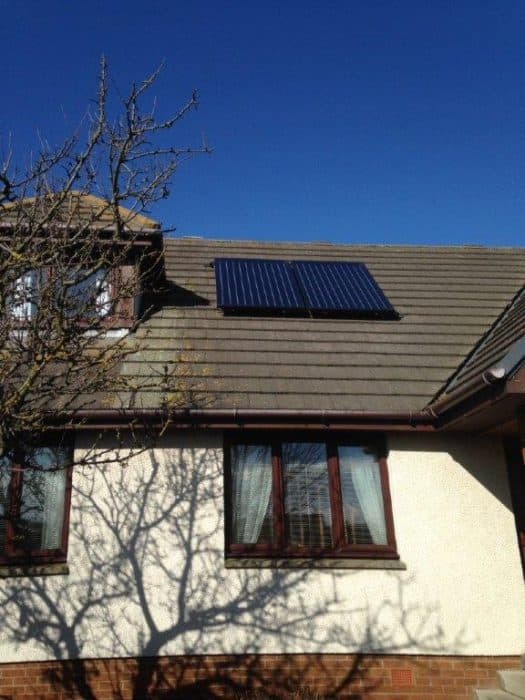 If you’d like to save money and reduce the amount of fossil fuels on which you depend on and at the same time, significantly lower your carbon dioxide emissions, why not consider installing a solar thermal hot water heating system? A typical well sized solar thermal system should provide around 50-70% of the domestic hot water requirements of the home, representing a worthwhile saving on hot water heating costs. The remaining hot water requirement is provided by the boiler/heat pump or biomass system. 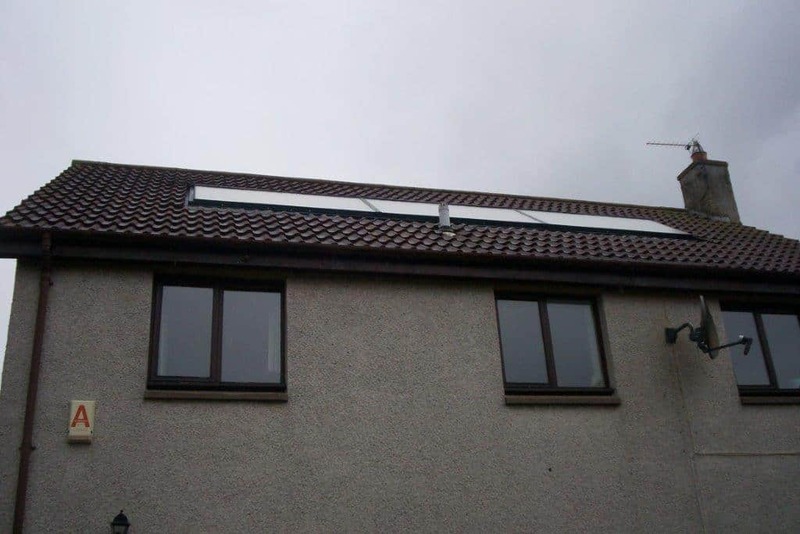 Solar water heating systems use solar panels (called collectors) to collect heat from the sun and UV light which is then used to heat up the water stored in a hot water cylinder. 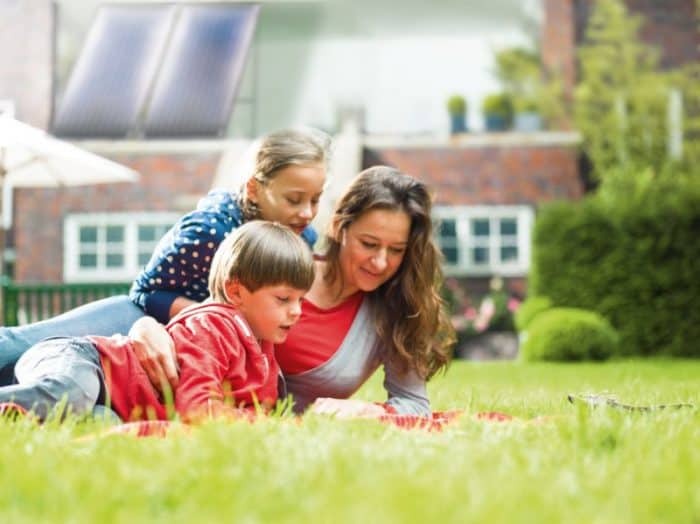 A boiler/heat pump or biomass system is then used to further back up the heat from the water to reach the temperature you want. 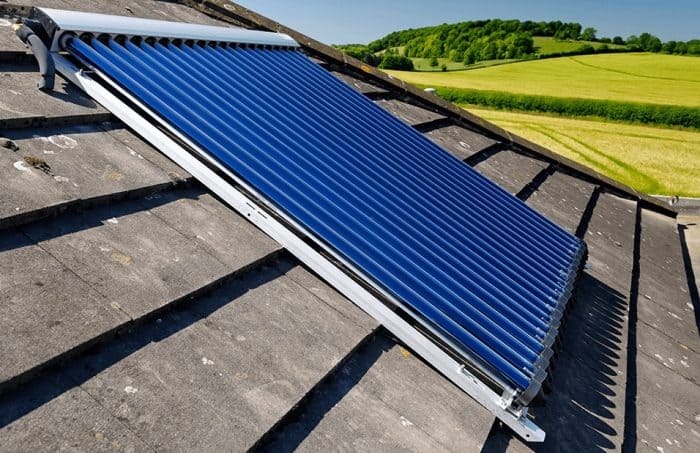 The panels are mounted on a surface which is selected for its exposure to sunlight and usually connected, via pipework, to the lower coil of a twin-coil solar cylinder. 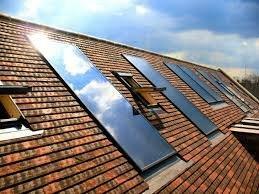 Solar thermal panels are generally most effective when mounted to the south facing roof of the property.